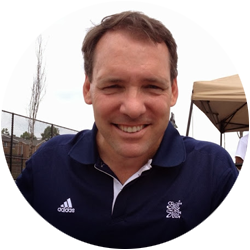 Woody is the founder and President of Street 2 Street, a ministry reaching underprivileged and neglected youth via unique sporting events. Street 2 Street began with street ball tournaments in the boroughs of New York City, but has garnered national attention for its innovative approach and remarkable results and is expanding throughout the U.S. The success of the street ball tournaments revealed a dearth of discipleship partners for the teens making spiritual commitments, so Woody and several colleagues have now created Street 2 Street University, an initiative to equip youth workers with ministry skills and theological training. Woody’s entire adult life has been devoted to helping young people in crisis. A long time staff member with Athletes in Action, the athletic outreach of Campus Crusade for Christ, Woody and his family moved to New York City in the wake of the 9/11 attacks. Woody is the Co-Founder of NCS-Bergen County with his best friend Tom Lane and serves on the board as its Secretary. He also serves on the board of Game Day International. Woody is a graduate of Tennessee Temple University (B.A., Communications) He lives in Hawthorne, NJ with his wife, Renee, and together they have 3 children, Abbey, Allison and Will, “the Thrill”. To contact Woody, email wwoodfin@street2street.com, or call (646) 344-9308.